garvey cey russell lopes: 'threeeeeeenzo' just doesn't sound the same - the 1978 topps enzo hernandez card that should have been! 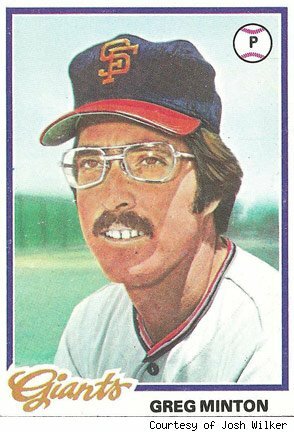 'threeeeeeenzo' just doesn't sound the same - the 1978 topps enzo hernandez card that should have been! apparently, the announcer for the padres would introduce enzo hernandez (who wore number 11) before his at bats by declaring "now batting, number eleveeeeeeenzo hernandez". during his short stay in los angeles, enzo wore number 3. at some point in the spring of 1978, the dodgers signed hernandez to a contract after he was released by the padres. 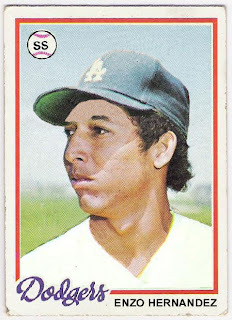 his appearance as a dodger in 1978 warrants a card that should have been - the latest installment in my 1978 topps burger king dodger/update project. 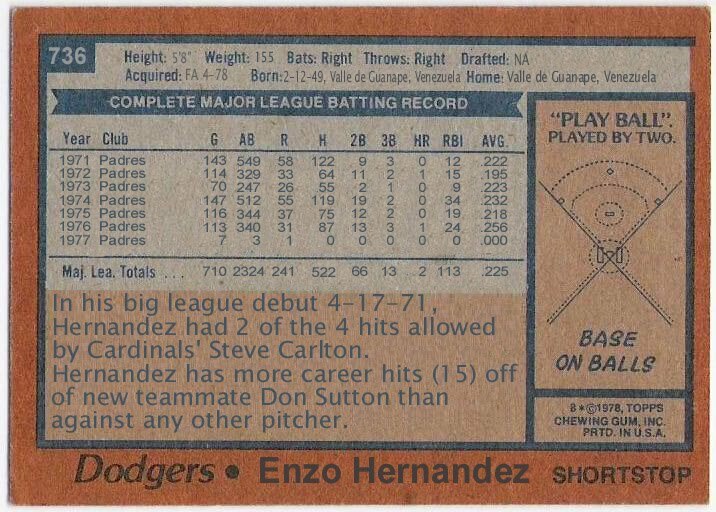 hernandez had spent 7 years with the padres and is probably best known for his 1971 rookie season during which he had 618 plate appearances and drove in a total of 12 runs. he was the padres regular shortstop for the most part until 1977 when, i assume, an injury ended his season in april after just 7 games and no hits in three at bats. the dodgers sent him to albuquerque where he hit .264 with 36 rbi in 111 games. the dodgers called him up to the big club in august to augment their bench and he appeared in four games. in the first game, he came in as a defensive replacement for bill russell in the 8th inning. he struck out against the giants' charlie williams in his only at bat, but the dodgers still won handily. his next two appearances were as pinch runners. he ran for joe ferguson in the bottom of the 9th on august 12, but was stranded at second as the dodgers lost to the giants 3-2. the next day, he ran for the penguin in the bottom of the 11th, but again was left on base and the dodgers lost 7-6. hernandez got his only start as a dodger in his next and final game. on august 19, he started against the mets and flew out in both of his plate appearances against the mets' mike bruhert. 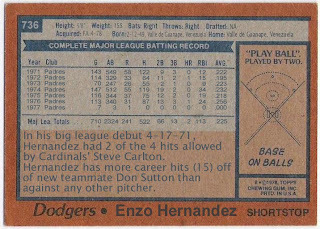 his next time around, hernandez was pinch hit for by ron cey. because of his short stint in la, i couldn't find any photos of hernandez in a dodger uniform. and, because he had so few at bats in 1977, he didn't have a card in topps' 1978 set. so, i used his 1974 topps card, reversed the image, bleached his uniform and photoshopped tommy john's hat on his head. it's as close to a greg minton card as i will get. 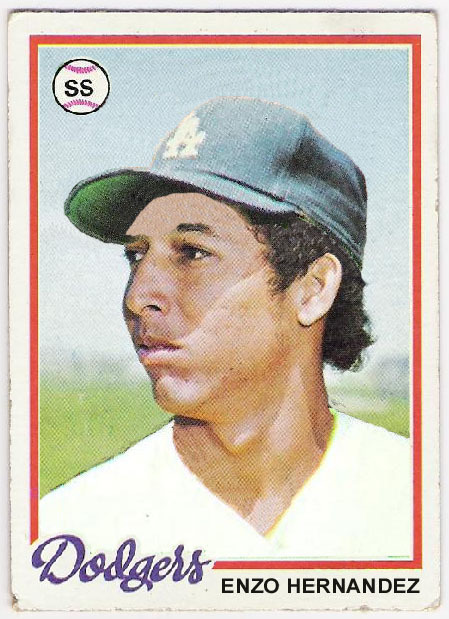 hernandez was released a few days later meaning his career ended on an 0 for 6 skid spanning two seasons (he singled in his last at bat of 1976). still, he was a member of the 1978 dodgers and that means something to me. here's to you, enzo hernandez! That is masterful work. Impressive indeed. Hey, that's a pretty good lookin' job. I gotta learn how to make custom cards one of these days. As for the Padres announcer... they must've had something goin' on down there in the late 70s - early 80's, 'cause I've always remembered this one game (Braves @ Padres) in '83 or '84, where the announcer nearly sang "Gary Templeton". He said it in this swingy rythem that just fits the rythem of the name so well. I am 99% sure he is pictured in one of the Dodgers team photo books. I will check and see when I have a chance. Yes, he is in the 77 or 78 photo album. I cut one apart because it was not in top condition and made postcard sized "cards" out of them. Not sure if this will work, but I took a photo (my scanner is not hooked up to my computer, I need to hook up the laptop and it's a pain unless I have a lot to scan). The link will take you. If you run into a password issue, email me. thanks curt. i was able to get the photo and will take a shot at using it. where are the walter o'malley cards? don baylor through the mail success!